We have the tools and abilities for all your locksmith needs in Kensington, Middlefield & Meriden. 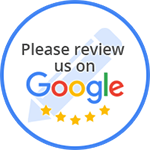 We pride ourselves in customer service, and want to hear your thoughts! In Kensington, Middlefield & Meriden and locked out? Lost your keys? Need a locksmith? Get in touch now! Absolute Security Locksmith's mission is to be the best locksmith and unlocking mobile technical services company in the world. As a result of years of dedication to pride in service and customer satisfaction, we have developed a reputation for fulfilling customer needs quickly and professionally in Kensington, Middlefield & Meriden. Today, We are the home to the nation’s most trusted locksmiths providing services to Kensington, Middlefield, as well as Meriden and surrounding areas!